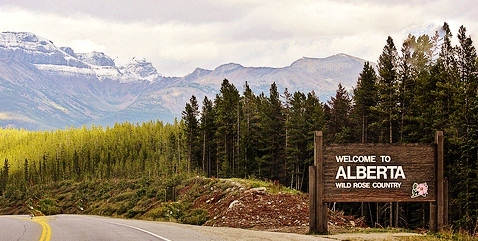 Breyden crossed the BC/Alberta border yesterday! He has now crossed through one entire province on his trek across the country. According to my calculations he will surpass 900 kilometers today as well. They spent the night in Lake Louise and are heading out soon to continue on to Banff. We are busy working on some fundraising events for Calgary and other cities in Alberta. He is out there every day walking, trying hard to raise the $323,323.00 he has set as his goal so any help in spreading the word is appreciated. Feel free to share this blog. He is Breyden Walken Erickson on Facebook if you want to friend him. Oh yea. Leave a comment and I will pass it along to Breyden if you want. How did you hear about his walk? Where are you from?